Hey guys! 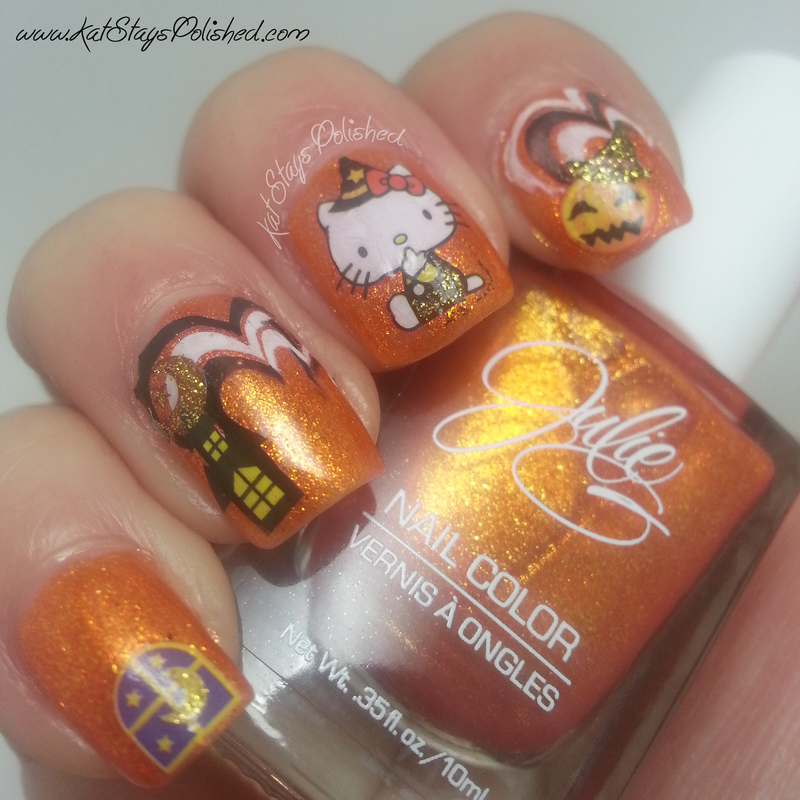 Time for a Halloween mani! I'm not going to do a bunch of designs because I think there are so many talented bloggers out there who create perfect Halloween manis for you. 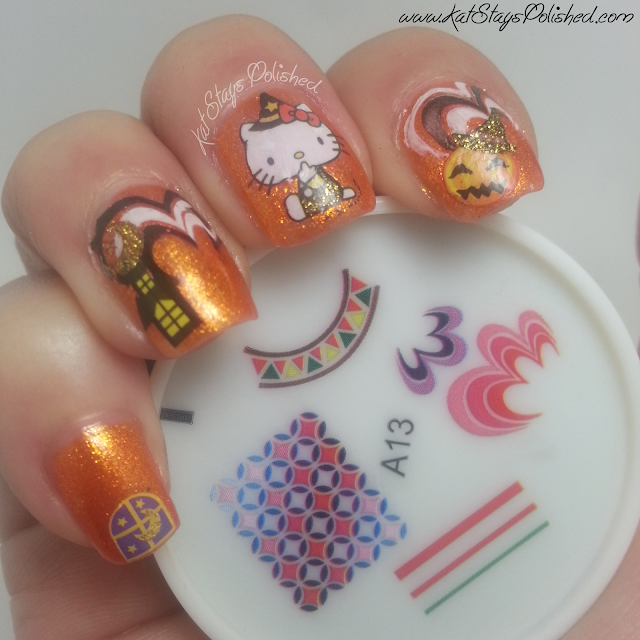 I actually wasn't going to do any this year but...I found these cute water decals from kkCenterHK. I also wanted to try out this new nail stamper. I've seen it floating around a few sites and it looked pretty cool. Belowe are the actual items I received. You can find these on kkCenterHK's website. With every nail art design, I find myself drawn to the JulieG polish. This time is no exception. The colors used here are Beach Bonfire, White Orchid, and Black Sheep. Who says you can't have a Beach Bonfire in the fall? Especially since it's still in the 70s here in Florida! Using a toothpick, pick off the color in the image design where you want to add additional color. Paint your 2nd color and blot off the excess on a piece of paper. Gently roll it on your nail just like normal. Here is the section of water decals I used for this mani. 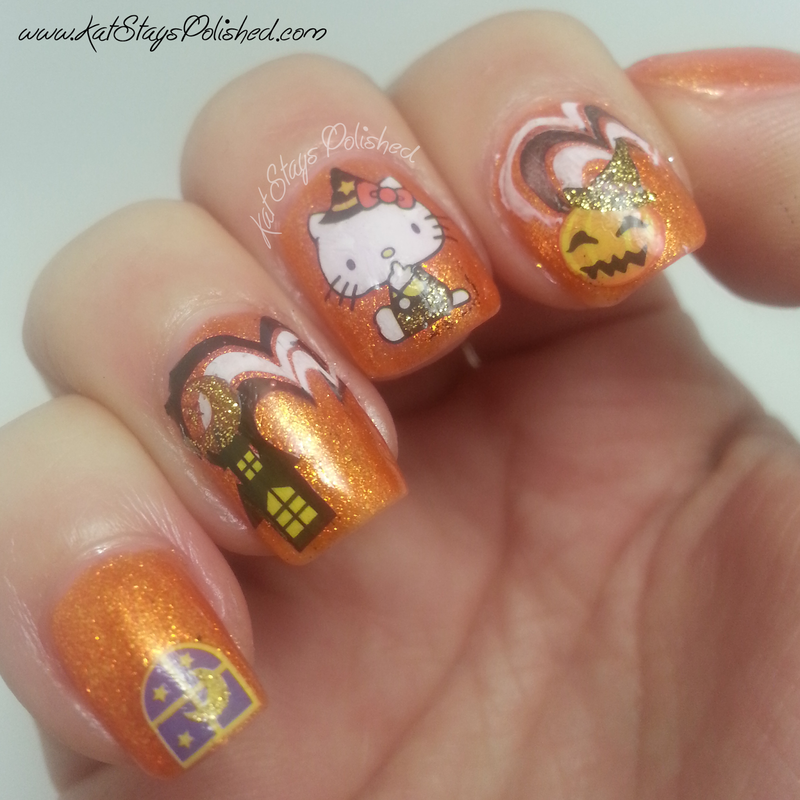 I LOVE these and they are perfect for a cute and simple Halloween manicure. To use these, cut out the section you want. Keep the plastic film on top. Use a cottom swab dipped in water and gently wet the paper backing. The deals should slide right off and you can place them anywhere on your nail. Smooth it down gently and apply a top coat. Here is the final mani! What do you think? 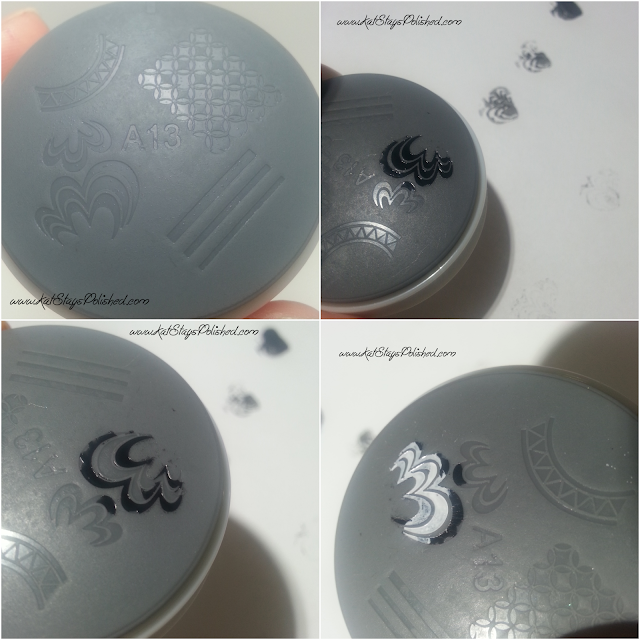 I'm going to have to practice using this stamper but for my first go I think it turned out nice. I'm interested to try out the full nail image. Stay tuned because I'll probably do another post using this. Thank you for stopping to read another nail art post and review! What did you think? Do you like what I did with these two items? Want 10% off Your Order? Use code: katstayspolished at checkout!